Inspired by the strong lines of mid-century modern design, the Brennan Side Table by Robert Langford features a striking, geometric honeycomb shape. The hand-finished frame is available in three distressed metallic colourways. Display decorative objects, flowers or a complementary table lamp on the hexagonal antique glass table top for ultimate impact. 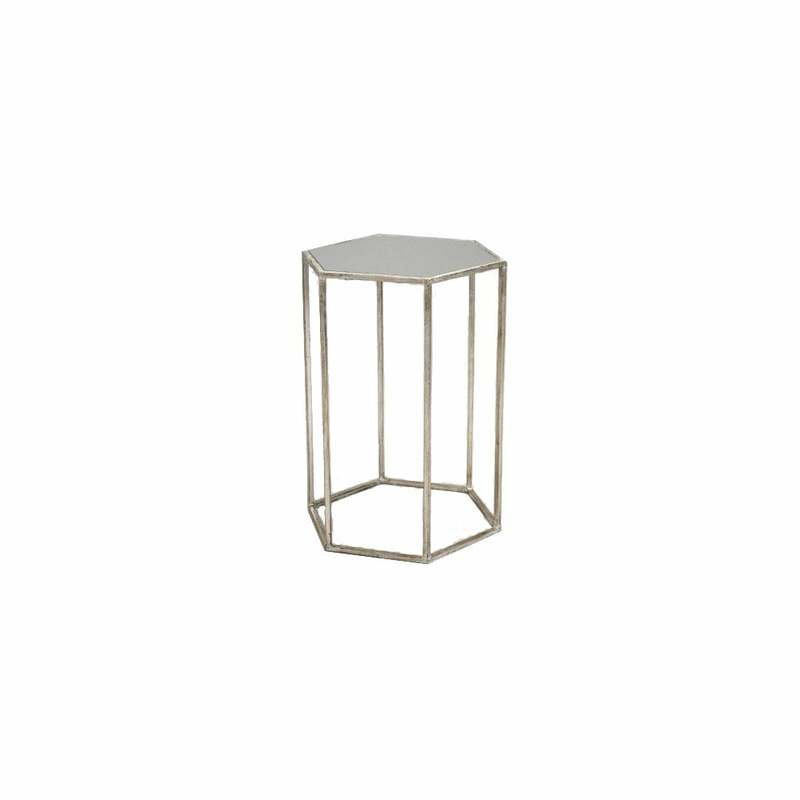 This side table is ideal for rooms with limited space. Place in the corner of a living room, hallway or landing to create a focal point.